MA-6 Flight Jacket features a fully reversible orange lining, ribbed collar, 100% nylon water repellent outer shell, and 3 front slash pockets. The classic military style flight jacket has an extra full cut and is available in sizes from Medium through 2XL. 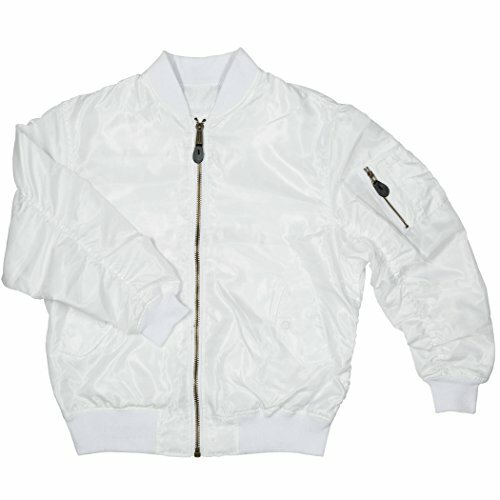 Ingeniously designed to be worn during the spring season, this nylon jacket is the ultimate companion to have every time. The nylon outer shell is well-crafted to repel the rain. Medium Chest 29" Back length 28 ½ " Sleeve length 26 ½ "
Large Chest 30" Back length 29" Sleeve length 27"
X Large Chest 31" Back length 29 ½ " Sleeve length 27 ½ "
2X Large Chest 32" Back length 30" Sleeve length 28"
If you have any questions about this product by North 15, contact us by completing and submitting the form below. If you are looking for a specif part number, please include it with your message.